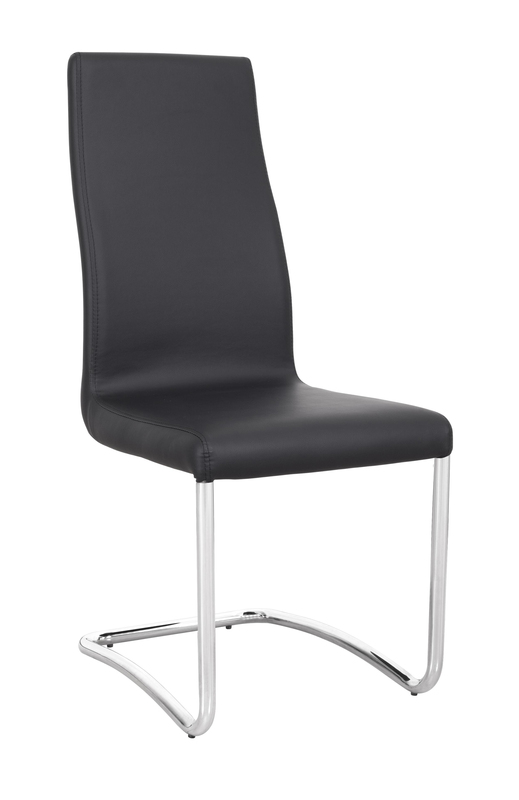 Create a stylish dining room with this modern dining chair featuring steel legs and polyurethane vinyl. 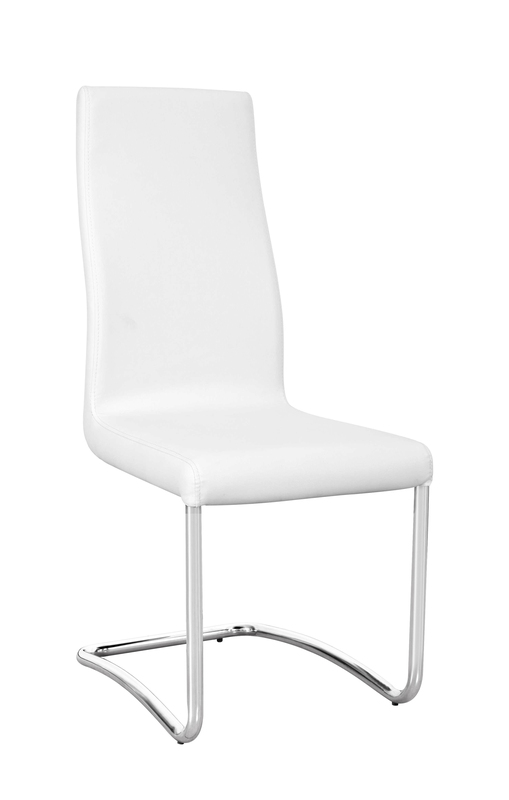 Its simplistic design allows for versatility in most modern or contemporary spaces and includes high density foam and a curved back for added comfort. W17.32" x D22.05" x H39.37"